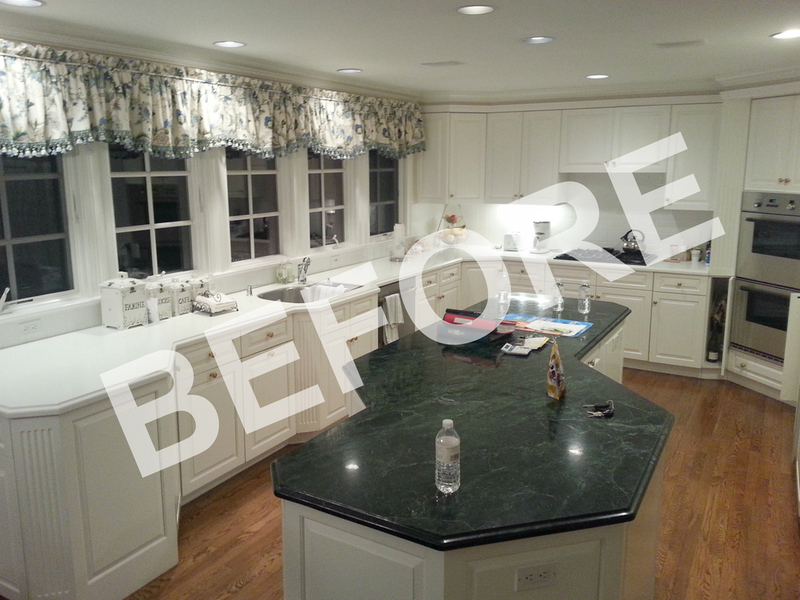 We had previously renovated this client's pool house kitchen, and when they were ready to tackle the kitchen in their main house in Wilton CT, they were happy to call us again. 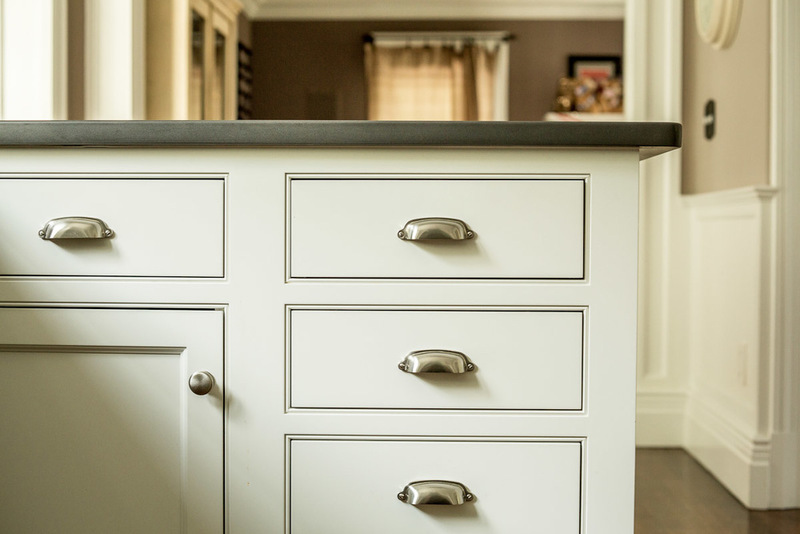 Our client coordinated with an interior designer and they selected a gorgeous soft white semi-gloss finish on a solid birch custom designed door style. 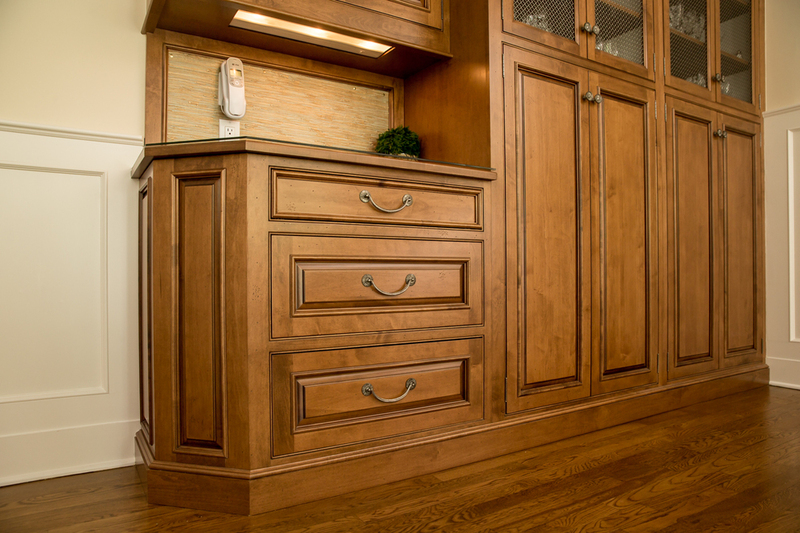 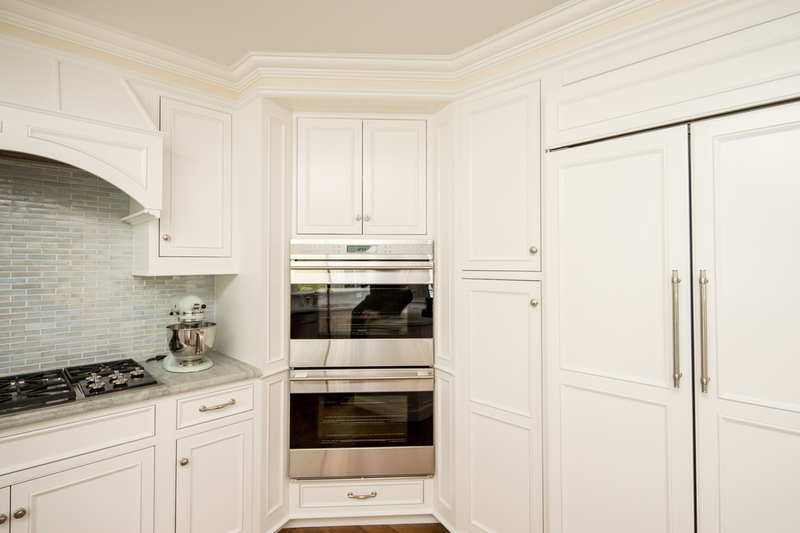 We designed and installed a new custom hood, as well as paneling on the angled sides on the cabinetry for a finished look. 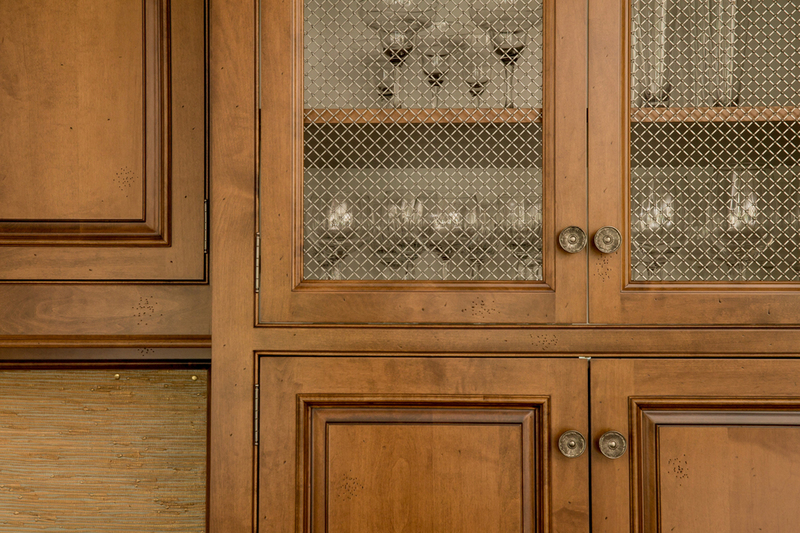 We re-designed and updated the desk pantry area with a custom nutmeg stain on maple with doors featuring wire mesh inserts for a rustic furniture feel.